A team scours Mount Meeker in July, 2018, in the search for Brian Perri, the Fort Collins hiker who went missing on June 30. On June 3, 2016, members of a military unit from Fort Carson, Colo., were evacuated from Longs Peak in Rocky Mountain National Park. On July 5, 2017, a visitor to Rocky Mountain National Park fell into the St. Vrain River and held onto a rock and log until rescued. On Aug. 16, 2016, rescuers at Rocky Mountain National Park evacuate an injured man above Lake Haiyaha. Colorado's Rocky Mountain National Park is one of the top places in the country for search and rescue operations, logging an incident almost every other day last year. That's according to a KUNC analysis, which found that the costs of incidents in National Park Service areas across the country hit a three-year high in 2017. In the same period, visits rose by about 8 percent. There were 2,890 search and rescue incidents, including 159 deaths, in NPS areas in 2017. Rocky Mountain National Park had 165 of those incidents, the third most in the nation. Only Grand Canyon National Park in Arizona, with 290 search and rescues, and Yosemite National Park in California, with 233, had more. Rocky Mountain National Park is beautiful, but it can also be perilous, which leads to a lot of rescues. KUNC's investigation found that the park is third in the nation for search and rescue incidents. At Rocky Mountain National Park, about a third of the incidents, including five deaths, were considered major, requiring extensive resources and personnel. In those cases, "a majority of staff will be pulled into it," said Chief Ranger Mark Pita. About 20 rangers and staffers oversee Rocky's 415 square miles each day in the busy summer months. So expert volunteer teams often assist the park during major, life-or-death incidents, like the extensive land and air search for Brian Perri, a 38-year-old climber who went missing after summiting Mount Meeker on June 30. Larimer County Search and Rescue, for instance, brought in a dog team. Visits are up significantly at national park areas across the country, rising from roughly 307 million to more than 330 million between 2015 and 2017, according to NPS data. About 4.4 million of those were to Rocky Mountain National Park, which last year tallied its second-highest number of visits ever. On a recent sunny weekday, people swarmed into the park's Beaver Meadows Visitor Center and waited in line to speak with rangers about their plans. Interpretation Ranger Adam Auerbach warned a couple about taking an afternoon hike on a high-elevation trail. "That is up above treeline," he said. "We (have) extreme lightning danger here in the park." The couple decided to hike somewhere less perilous, but there are others who come for the challenges of the terrain, like reaching the park's highest point: the ever-looming 14,259-foot Longs Peak. In 2016, trouble struck when a U.S. Army Special Forces team from Fort Carson in Colorado Springs ascended the mountain. Members fell prey to altitude sickness and park rangers assisted them through a fitful night on the mountain, waiting for a helicopter rescue that came the next day. Pita said Longs Peak is rife with dangers. The temperature can drop 30-40 degrees in mere minutes, even in the summer. "Lightning, sleet, hail, high winds, clouds, iced up conditions -- and that can happen in August," Pita said. Nine people have died on Longs Peak since the start of this decade, according to Colorado Mountaineering, a group that aggregates information on the state's top mountain hikes and climbs. It's not just the park's peaks that are dangerous. Search and rescues have taken place in roaring rivers, slippery hillsides, rocky outcrops and off trails obscured by snow or debris. 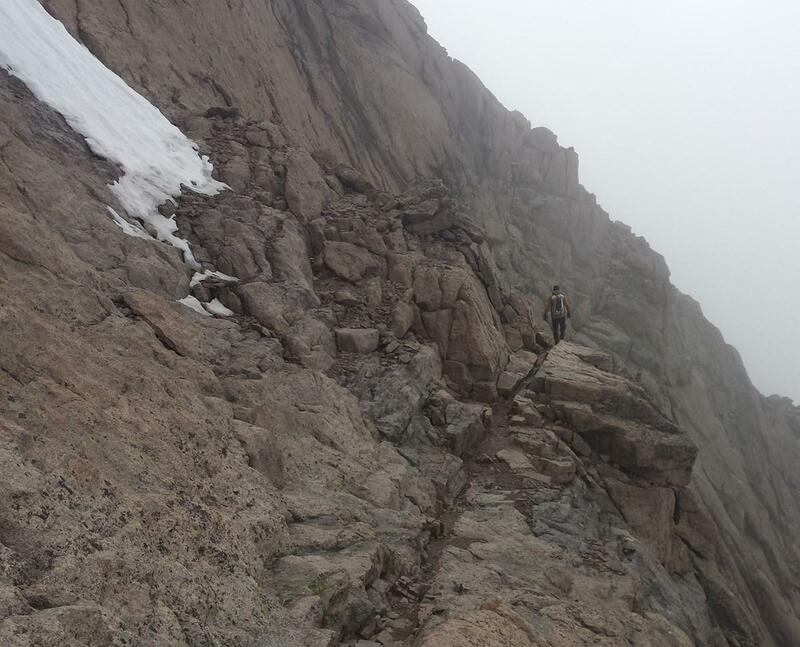 A ranger traverses a narrow ledge on Longs Peak, where weather can change dramatically in an instant. The park service does not charge people who are rescued, but those who are rescued may be billed by outside agencies for transportation to emergency rooms. Last year, the park set aside $83,000 for search and rescues. All of that was used -- and more. Pita had to request an additional $138,000 for so-called nonprogrammed costs, like overtime, and another $41,000 for supplies. "We have funding that the park service provides to cover our over costs, overtime and other kinds of equipment or other needs that we might have," Pita said. "Sometimes we hire a helicopter. We get augmented on those kinds of situations but those are emergency funding accounts. It's pretty routine for us." 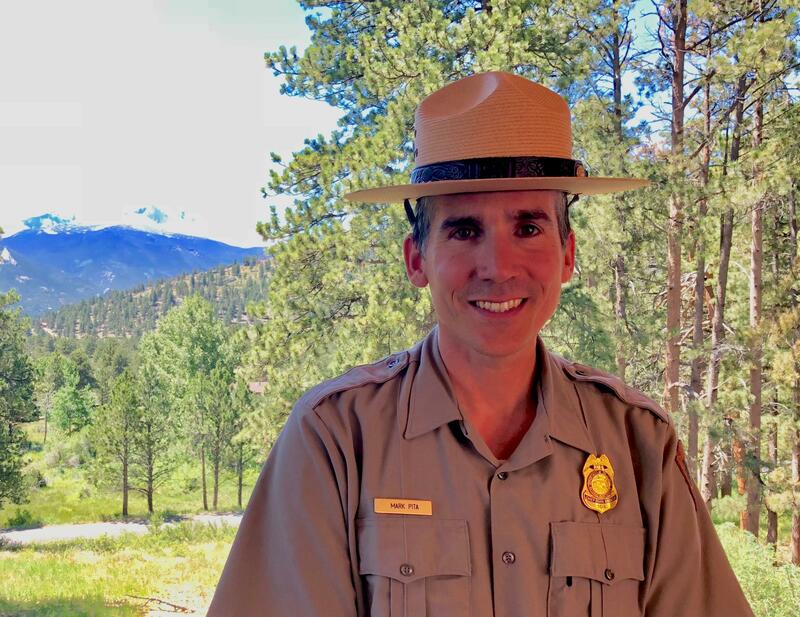 Mark Pita, chief ranger of Rocky Mountain National Park. Many parks follow the same trend of under-budgeting. Throughout the country, $1.6 million was budgeted for search and rescues, but another $1.4 million was needed for nonprogrammed costs, plus $300,000 more for things like supplies. Asked about that, the National Park Service said that it is difficult to predict the costs of search and rescues so additional funds are kept at regional levels to provide flexibility in responding. If there's any good news, it's that search and rescues at NPS areas have been declining since the mid-1990s, according to the data. A possible explanation for that is simply that many more people are on the trails these days, able to help each other and almost everyone these days is armed with a cell phone, which aids with wayfinding. Infograph showing top 5 national parks for search and rescue incidents. Speak now or forever pay more to enter the country’s most popular national parks. Friday, Dec. 22 is the last day to submit a public comment on a proposal to increase entrance fees at 17 parks, including Rocky Mountain National Park. After that, the National Park Service will determine if - and by how much - it will ramp up the cost during parks’ peak seasons.